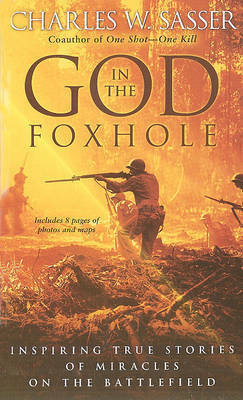 God in the FoxholeA stunning collection of true personal accounts from generations of American soldiers whose faith, in the words of renowned combat journalist and former Green Beret Charles W. Sasser, has been born, reborn, tested, sustained, verified, or transformed under fire.From the battlefields of the American Revolution through World Wars I and II, from Korea and Vietnam to the front lines in Iraq and Afghanistan, here is an immensely moving gathering of war stories like no other--dramatic tales of spirituality, conversion, and miracles: The angelic vision that brought inner peace to an exhausted helicopter door gunner in Vietnam . . . the makeshift full-immersion baptisms of eleven soldiers on Palm Sunday in Iraq, 2004 . . . two enemies--a Nazi priest and an American G.I.--who served Communion Mass in a Belgian sanctuary in 1944 . . . the prescient letter from a Civil War army major to his beloved wife, one week before his death at Bull Run . . . the 21st-century toddler with a jaw-dropping spiritual connection to a war hero of Iwo Jima . . . and more.Fans of military history will be captivated by these transcendent portraits of survival and belief, presented by the acclaimed coauthor of One Shot--One Kill.